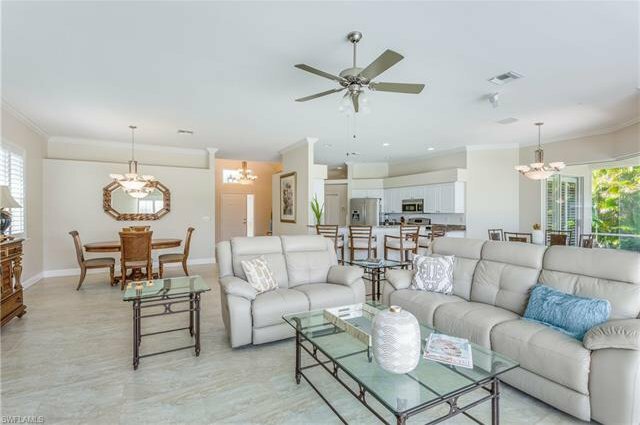 This Stunning Open Great Room plan shows what Florida living is all about! 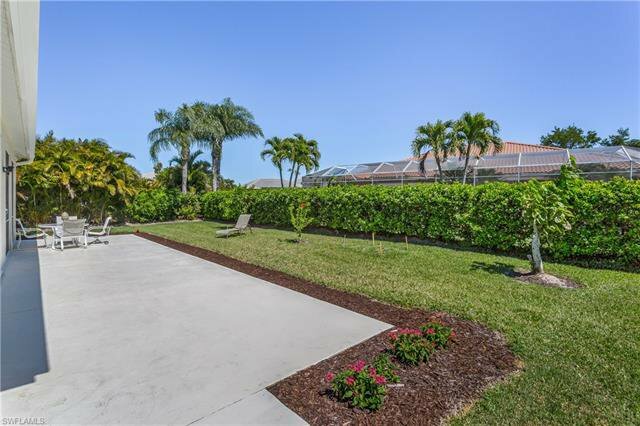 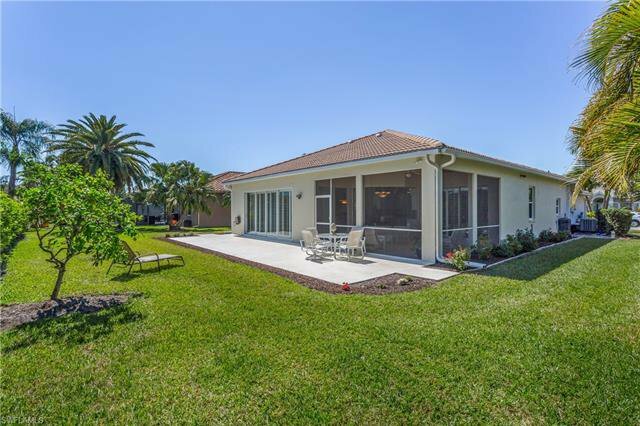 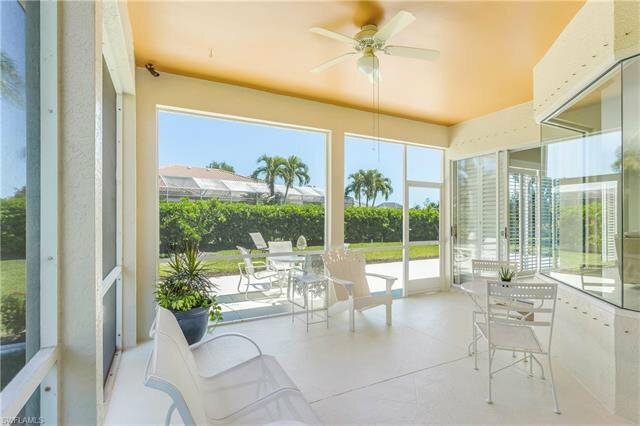 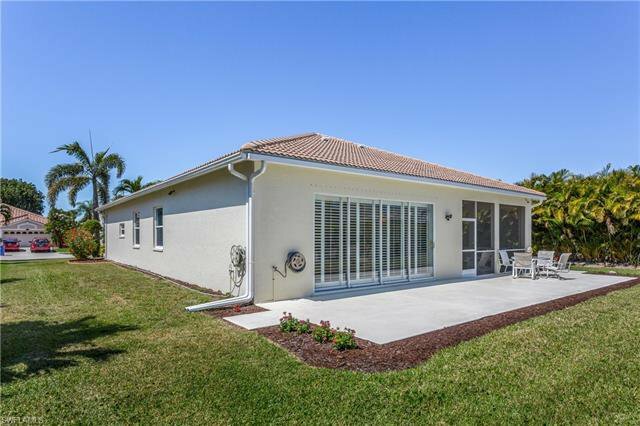 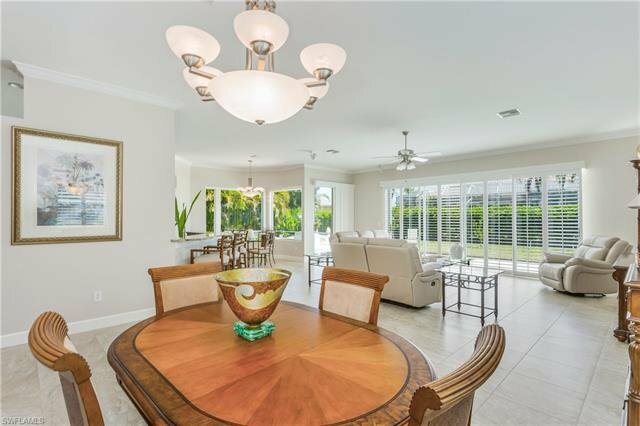 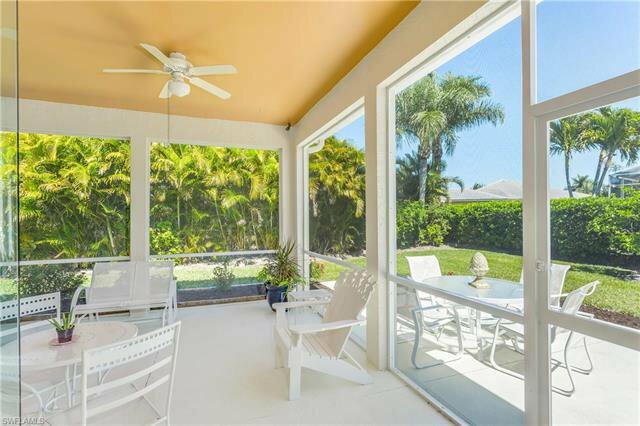 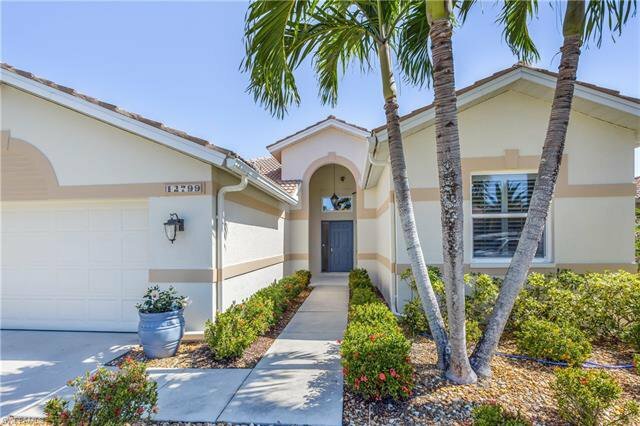 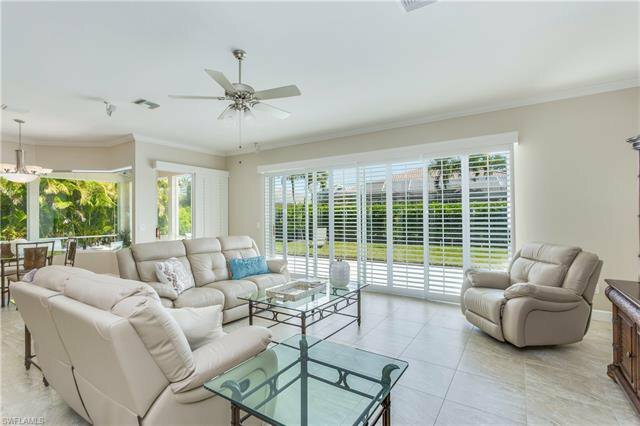 Light, Bright & Pristine w a huge great rm, 2 walls of sliders leading to an expansive outdoor patio, private yard & a covered screened lanai! 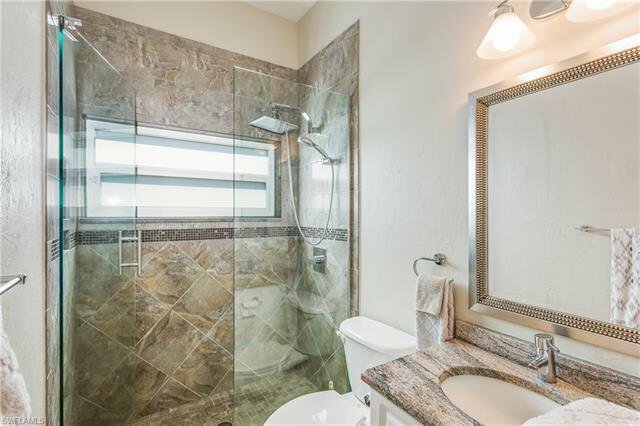 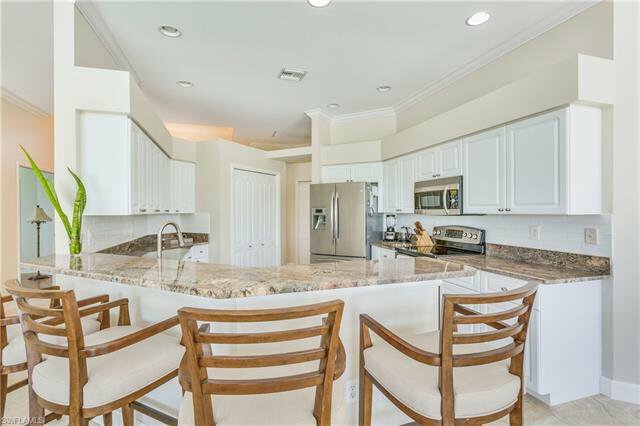 Recently updated beautifully w a gorgeous granite kitchen, stainless appliances incl. 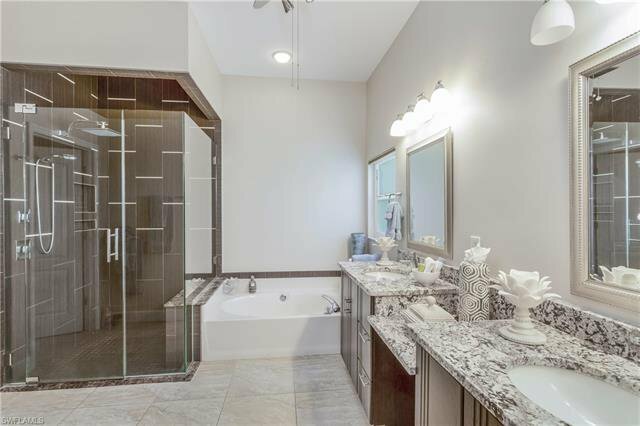 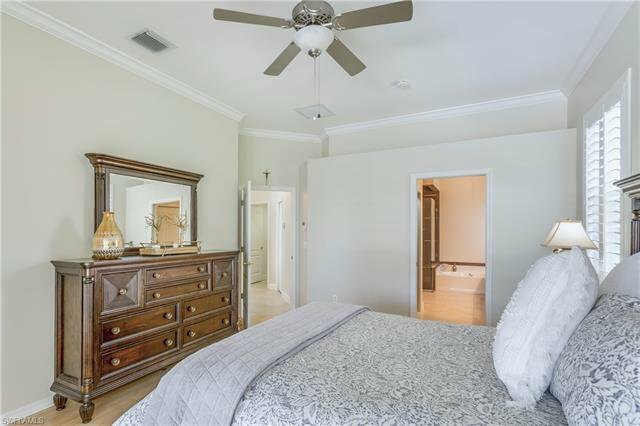 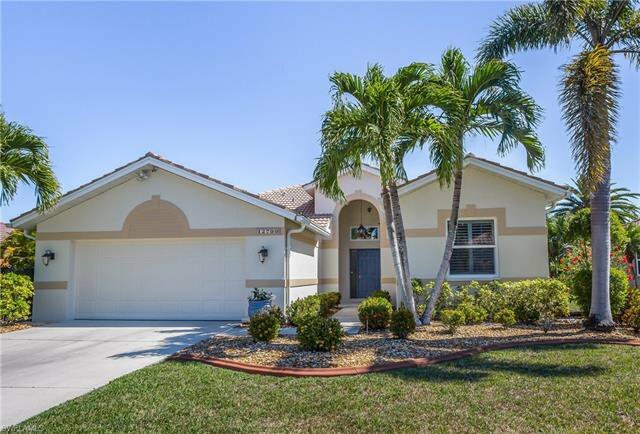 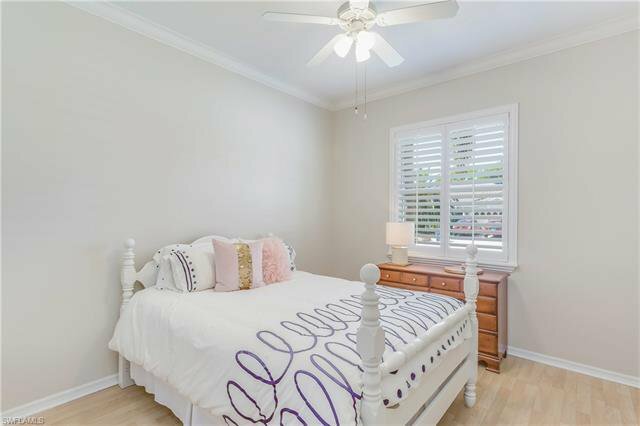 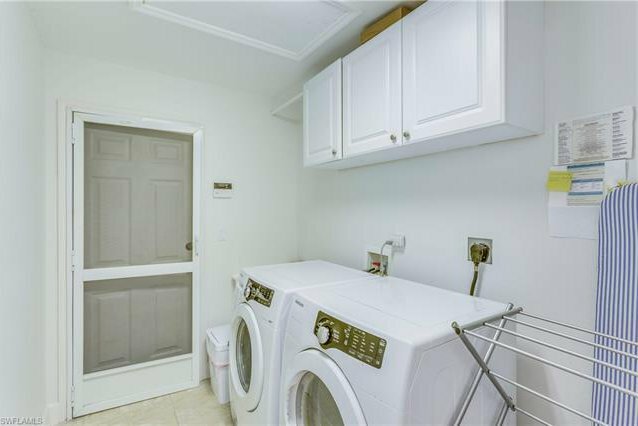 a double oven!, New AC, newly painted in & out, Crown Molding, large tiled floors,Plantation Shutters, Impact Windows, new hot wtr htr, irrigation well, updated Granite baths & more! 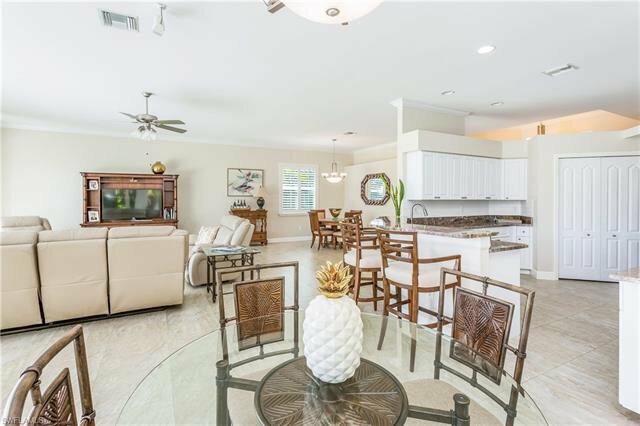 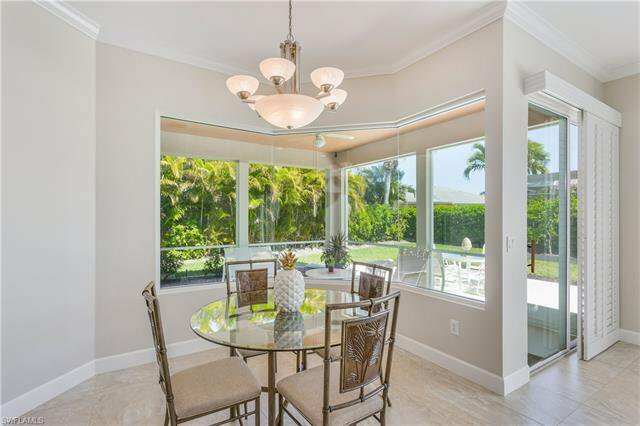 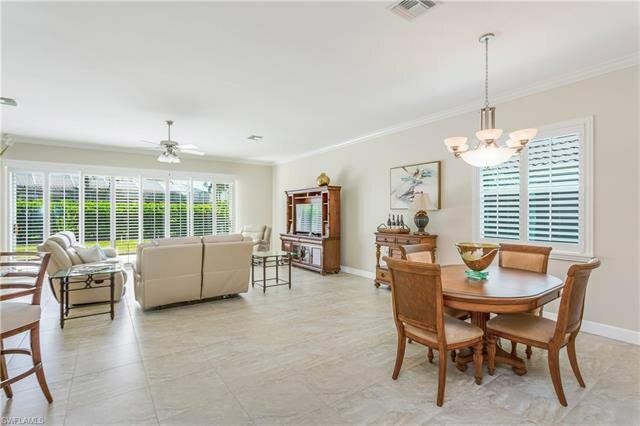 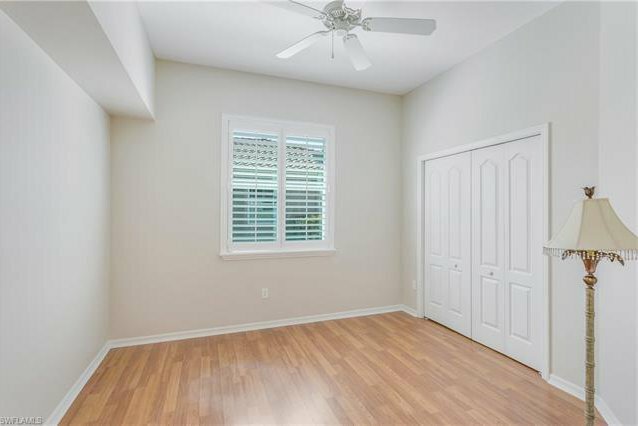 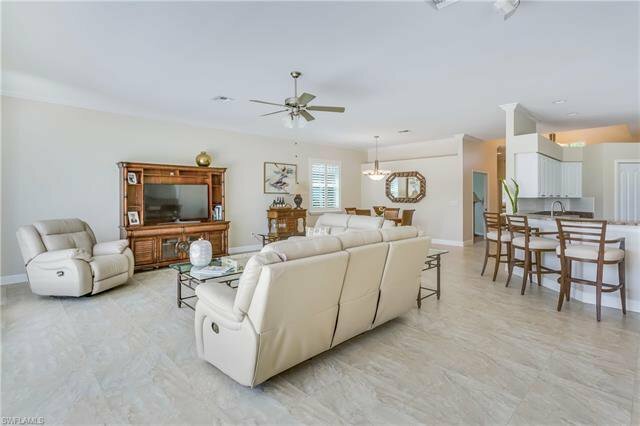 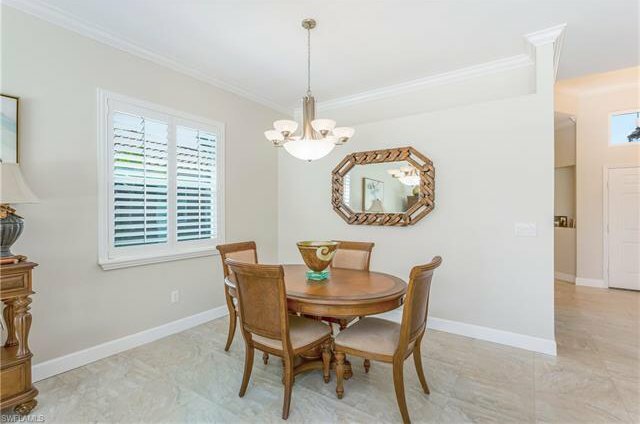 Spacious great room w dining area, eatin kitchen features a cozy breakfast rm w seamless glass windows, tall ceilings, a large Master bedroom, gleaming wood floors, sliders to lanai, a huge walk in closet w organizers, luxurious master bath w/a large shower & separate soaking tub. 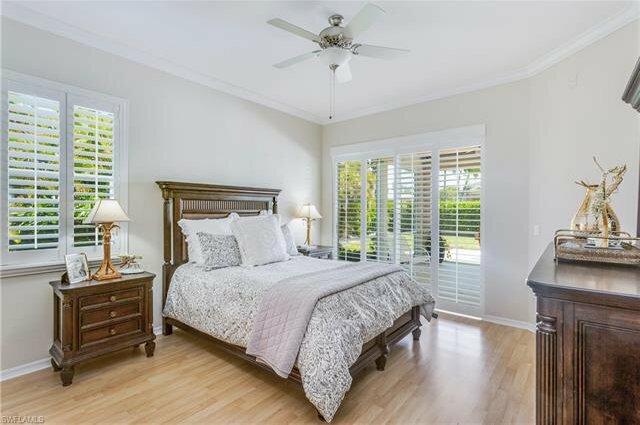 Private guest bedroom/bath & a 3rd bedroom makes a perfect den or additional guest rm both with wood floors. 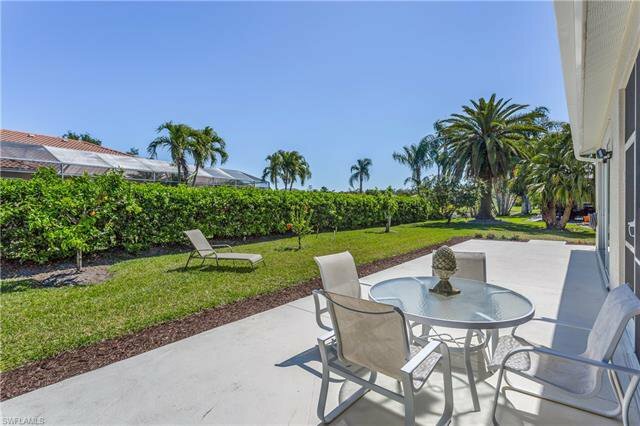 Wonderful open air patio fantastic for enjoying the great outdoors! 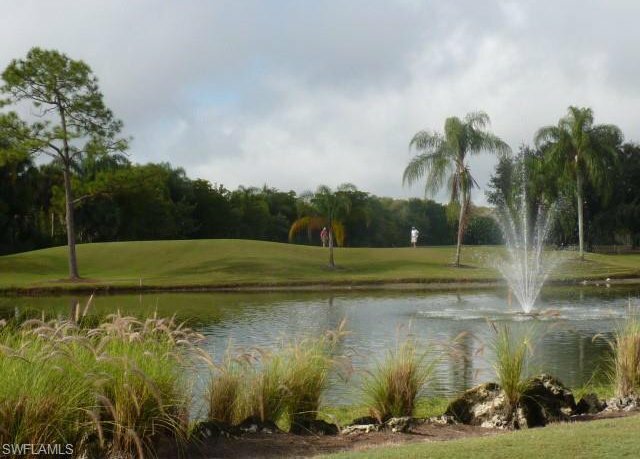 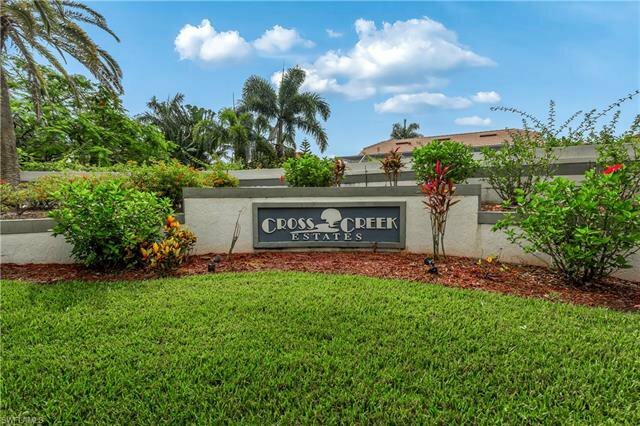 Low HOA fees - just $1,400/yr! 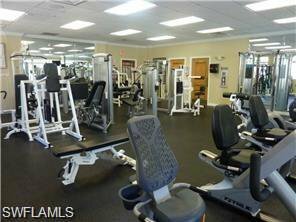 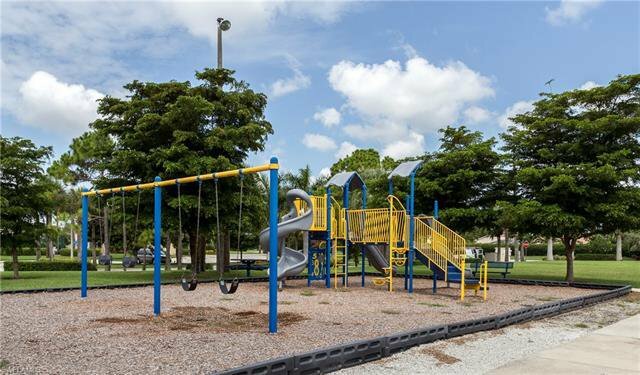 Super location close to shopping, dining, SWFL Int'l, Gulf Coast Hospital, FGCU, Spring Training & the New Whole Foods plaza! 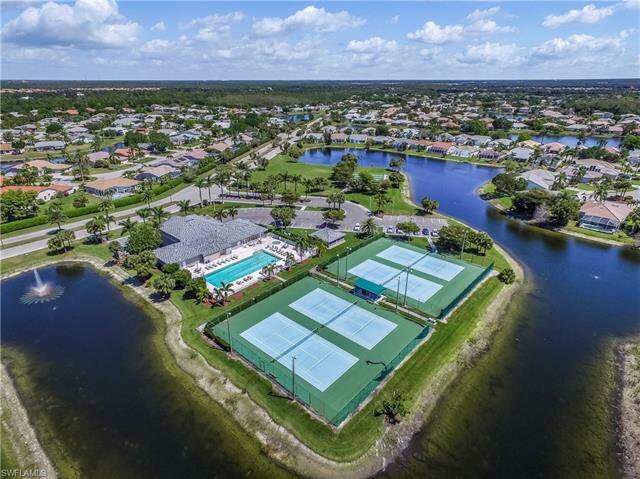 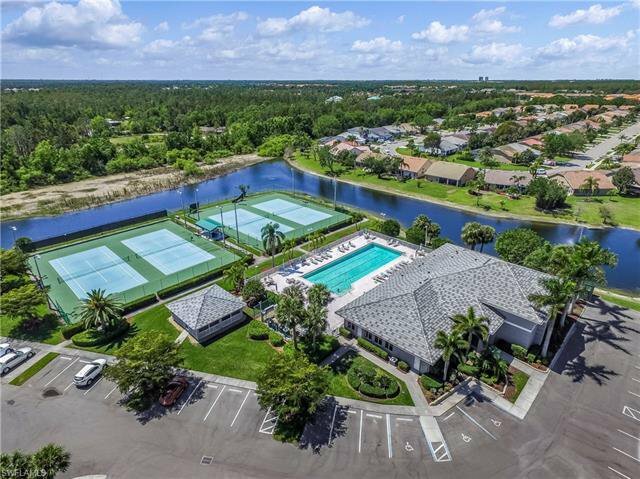 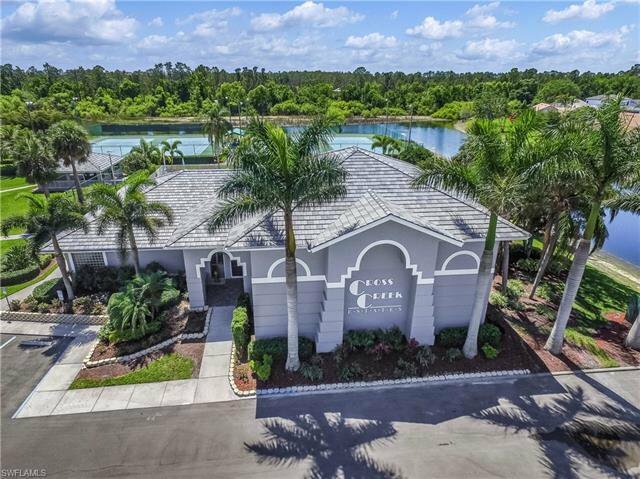 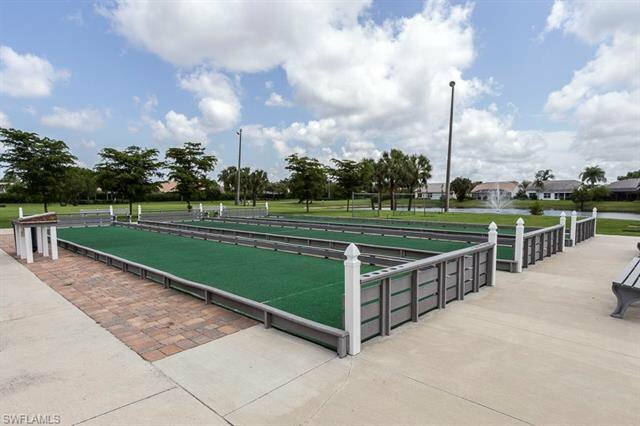 Clubhouse with htd pool, spa, tennis, pickleball,bocce,fitness ctr & pay for play golf at CCCC! 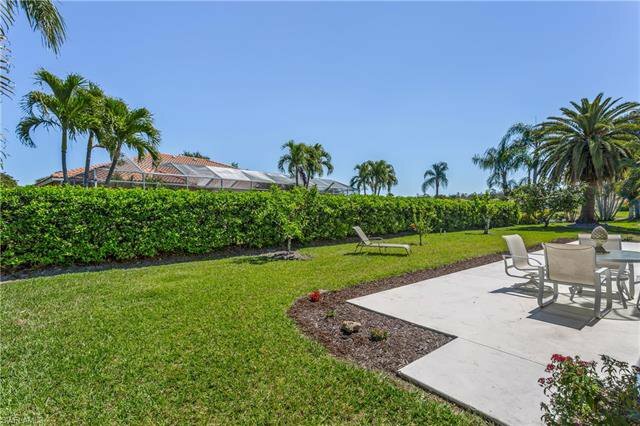 Listing courtesy of Wentworth Realty Group. 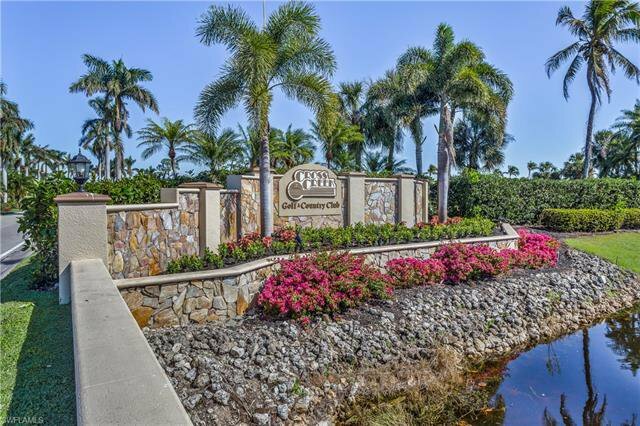 Selling Office: Wentworth Realty Group.